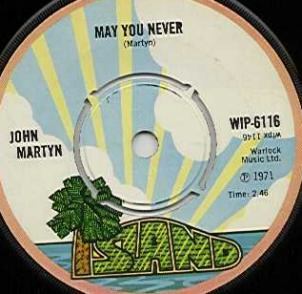 May You Never / Just Now was released by Island as a single in November 1971. This early version of the later album track featured drums and Paul Kossof of free on the guitar. John didn't like the way the track was turning out and left the producer "Robin somebody or other" to overdub and put it together. According to John it, "sold four copies." The album sold well in the UK and America.